This is a powerful insightful exercise for you to use to complete your coaching program or the end of a year or life cycle. It can be done for your business and/or your personal life. Gratitude and appreciation brings to us more of what we want, so please enjoy journaling (yes write it all down) your answers to the following questions. We will celebrate and look toward what you want to create next! I hope you will find this empowering! 2. What was my biggest accomplishment? 4. What were the greatest, deepest lessons? 5. How can I appreciate the things that didn’t go right, or as planned? 6. What do I need to do to let go of any hurts or pains? 7. What unfinished business do I still want to finish? 8. Honor yourself in some way, say good-bye and thank you! 9. Begin to write your new intentions. What do you want to create next? Don’t be afraid to think big. 10. 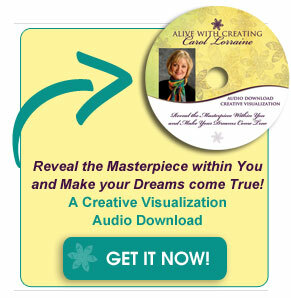 Take advantage of my free creative visualization gift “Dream Your Heart’s Desire into Being.” Sign up on the column to your right. 11. Have faith in yourself and the Universe!